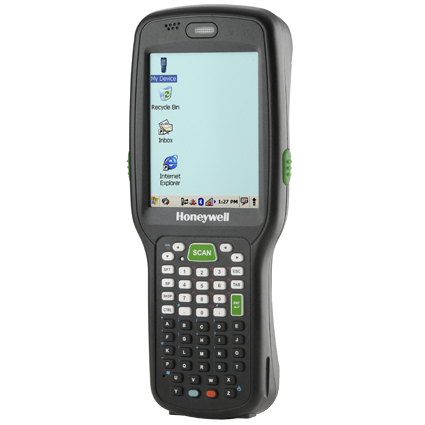 Rugged yet light in hand, the Honeywell Dolphin 6500 mobile computer has the tools necessary for any warehouse or rough retail data management operation. 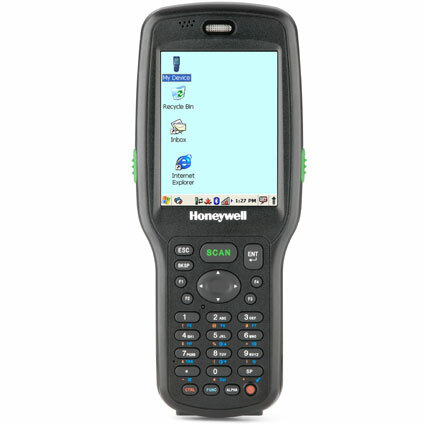 Powered by Windows CE 5.0, the Dolphin 6500 can run most mobile applications with ease. An optional 802.11a/b/g wireless radio ensures constant communication with your network, so shipping updates can be pushed on-the-fly. Add a bluetooth headset, and the Dolphin 6500 will connect your workforce even better. For easy data capture, Honeywell built the Dolphin 6500 with an Adaptus Imager set at an angle from the unit. This fifth generation of Adaptus technology can read damaged or dirty barcodes with ease, both 1D and 2D. The angle of the built- in barcode scanner makes it easy to scan products and see the screen at the same time, making the Dolphin 6500 mobile computer a smart choice for shipping, picking, or any other high stakes data collection environment. Dimensions (W x D x H): 3.3" x 1.7" x 7.8", width at grip: 2.4"